This book talks about suffering, prayer, perseverance. Multi-award winning spirituality writer Philip Yancey is loved throughout the world for his honest, insightful and inspirational writing. 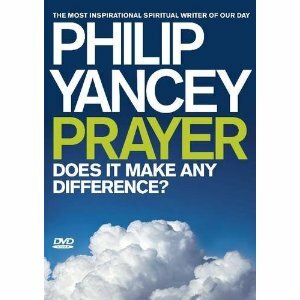 PRAYER: DOES IT MAKE ANY DIFFERENCE? carries all the hallmarks of classic Yancey, a journalist by training. His quest to unravel the mysteries of prayer reads as the journal of a fellow traveller: questioning, challenging, lamenting the unexplainable and rejoicing in the discovery of awesome insights. His journey is beautifully illustrated with moving true stories drawn from around the world. PRAYER: DOES IT MAKE ANY DIFFERENCE? tackles the following questions: What is prayer? What difference does it make? Why and how should we pray? What about unanswered prayer? How should we understand prayer for physical healing? Focusing on such a universal theme, this is potentially Yancey's biggest book yet. To date, his books have sold over 14 million copies, and have been translated into 25 languages. His first book with Hodder, SOUL SURVIVOR, sold over 90,000 copies in just five years.